Can Probiotics Really Help YOUR Acne? Probiotics have come to the forefront of being an essential tool to helping maintain a healthy digestive and immune system. Despite this popularity, many people aren't entirely sure of what they are or what they can do. Here's a look at just a few of their great benefits-including a discussion of how they may be able to help you in your fight against acne. You would be hard pressed to find someone who hasn't heard of probiotics and their numerous health benefits, but what exactly are they? The term "probiotic" refers to a wide range of microorganisms which can be found in certain foods, drinks, and supplements that help regulate everything from digestion to allergies. Most of these microorganisms are bacteria, and while chowing down on something commonly found in a petri dish may not sound appetizing, you might be surprised to learn that your gastrointestinal tract is already teeming with them! When thinking about bacteria within the body, scientists break them down into two main categories-"good" and "bad". Sometimes things like your diet or other environmental factors can cause the "bad" bacteria to overwhelm the "good", and probiotics help restore a natural, healthy balance. Keep in mind that the goal is not to completely eliminate the "bad" bacteria-our bodies have uses for them as well-but rather, it's to merely reduce them to a level where they aren't causing unwanted side effects. Probiotics are naturally found in cultured or fermented foods, like yogurt, sauerkraut, and kimchi; however, due to their rising popularity, many food manufacturers add them to other products as well. What benefits do probiotics provide? 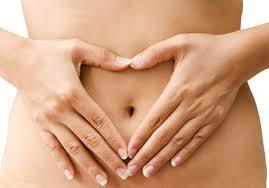 The most common reason people use probiotics is to promote digestive and immune health. The gut can be a breeding ground for disease to start when not taken care of, so a healthy gut many believe, can be helped by the use of good probiotics. Many people suffering from a range of digestive issues have found success in using certain strains to help manage their symptoms-especially products containing the bacteria Bifidobacterium infantis. If you eat a diet that is mostly processed (which we don't recommend), it will barely contain any good bacteria. So adding a healthy dose of good bacteria makes all the sense. Another common use for probiotics is boosting the immune system. According to a recent study from New Zealand published in the Journal of Science and Medicine in Sport, subjects were 40% less likely to develop colds or digestive infections when they regularly took a probiotic supplement. While several strains showed promise for promoting immune system health, the most beneficial were Saccharomyces boulardii and Lactobacillus acidophilus. However, researchers warned that people who already have a compromised immune system may not benefit from these probiotics, and in fact, they may make their problems worse. There are several promising studies that have shown that probiotics can help acne sufferers to decrease the intensity and even sometimes the frequency of their breakouts. Scientists suspect that one of the reasons for this positive effect may be that fact that an imbalance between your good and bad intestinal bacteria causes inflammation. As the most prevailing inflammations may happen in joints and tendons, skin is also not free of this danger. It is important to note however that skin inflammation does not cause acne breakouts. Inflammation may however make the breakouts worse than they already are. It is also noted that intestinal health plays an important role in maintaining healthy skin and therefore also has an impact on acne. According to recent studies from both Russia and Italy, subjects who drank a beverage infused with Lactobacillus acidophilus for 12 weeks had markedly fewer whiteheads, blackheads, and cysts than those who did not. In addition, there is early stage research being conducted that is exploring how topical products containing probiotics can perhaps help with controlling symptoms of acne (notice that we said, controlling symptoms, not prevention). If you're interested in exploring the effects of probiotics on your acne there is one thing to keep in mind-not all strains can potentially help in fighting your acne problems. So far, only Lactobacillus has been shown to help controlling breakouts. So - as a healthy GI system will help in maintaining an overall healthy body, while focusing on acne, look for products that contain this specific strain. Are probiotics really enough to treat your acne? Even with a regular regimen of probiotics, you may still struggle with acne. While they can help keep your body and skin healthy, the origin of your breakouts are actually much more complex. One of the most common causes of acne is an imbalance in your hormones-specifically the presence of too much androgen in the blood stream. This imbalance can cause your sebaceous glands to overproduce an oily substance known as sebum, which then clogs your pores and allows acne-causing bacteria to flourish. Until this imbalance is addressed, it's likely that you will continue to experience breakouts. By now, it's obvious that the only way to be truly free from acne is to alter the effect of your hormones on your sebaceous glands. Products like AcnEase can do just that-not by directly manipulating your hormone levels but by mitigating their effects on your skin. It's a safe, effective, and natural solution to this internal problem. 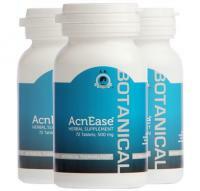 And yes, you can safely take AcnEase with your choice of probiotics. There's no doubt that probiotics can play an important role in your acne treatment, but to see the long-lasting results you really want, you'll need to address your breakouts at their point of origin.